I still remember receiving an email about a literacy internship opportunity during the fall semester of my junior year and thinking it would be a great chance for me to expand my experiences in education. 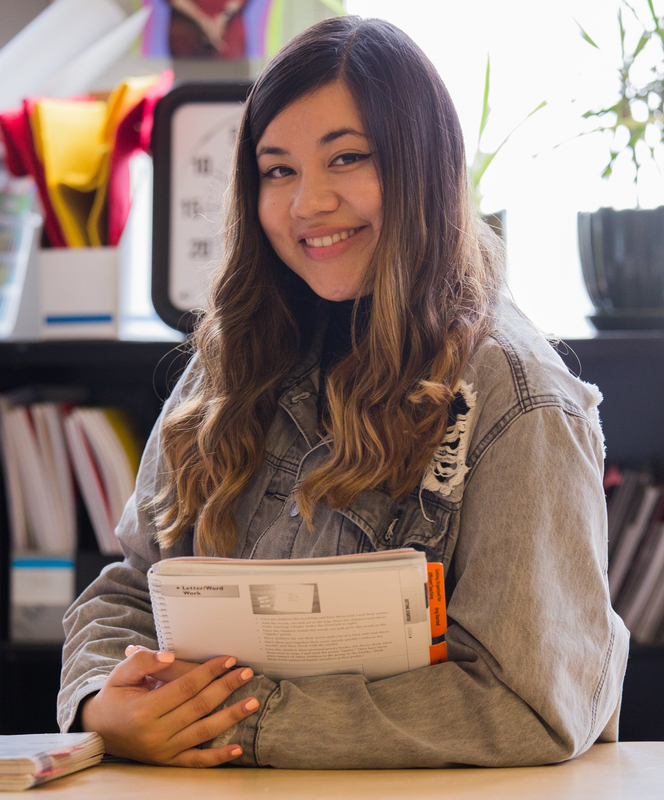 As a student in the Dual Degree Program for Teacher Preparation, I decided to apply to be a literacy intern through Engage San Francisco but little did I know I would be embarking on an experience of a lifetime. I am now a senior, about to graduate this coming May, and I continue to learn so much about myself and my passion for teaching with every chance I get to walk the halls of Dr. William L. Cobb Elementary School. From my very first day of the internship, I was met with nothing but kindness and support. My first impression of the school was more than I could have hoped for, and it continues to be a place of unique learning experiences for me. For one, every day at Cobb is different—whether it is because I have to work with new students and create activities for them on my own or because unexpected situations arise where I have to provide care for students. I first went in thinking of myself as a tutor for my students, but it was not long after I started my work there that I realized this job required a lot more than just academics. Every single student I have had the privilege to work with at this school has sparked so much passion for teaching within me, and I continue to think about them in everything I do as I pursue my teaching credential. Alongside my students, my mentor at the school and my internship supervisor always go above and beyond to ensure that as interns we are being supported and guided in the best way possible. It has been thanks to their warmth and guidance that I have been able to feel like I have agency in my position as an intern. 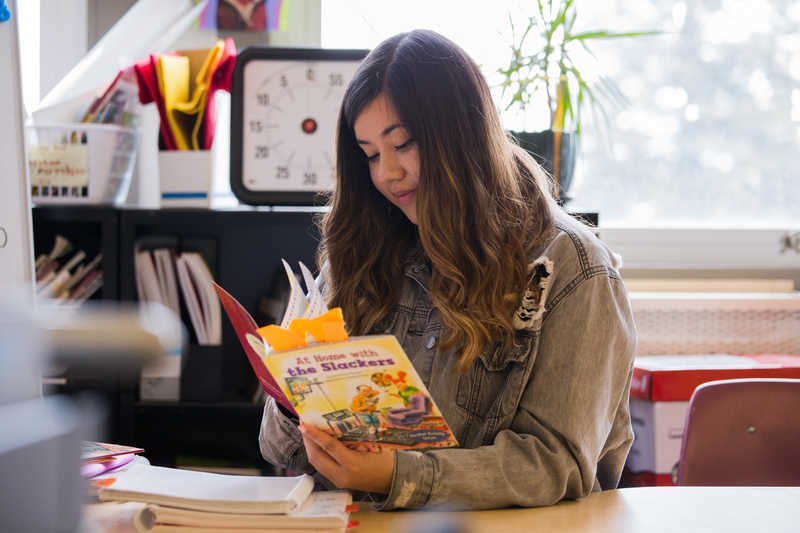 From day one, I have felt like I am a part of the school community and that is because I have been given the tools and the trust to bring my perspective into the work I do with my students. Hence, this program has been crucial in my journey as a future educator because it has shown me first-hand that there is a lot of work to be done in the classroom. It has likewise shown me in practice what my responsibility as a woman of color going into this profession looks like in order to ensure I am doing my best to advocate for our youth. My students have therefore opened up new possibilities within me and they have taken me by the hand and walked me through their life experiences and their passions, which is something that will be forever engraved in my heart. I am honored and humbled to walk the halls of Cobb and get hugs from students I have not even worked with yet and to get high-fives from the older kids who normally like to tell me they are “too cool” for doing reading activities with Miss Valeria. My students give me so much joy with all their unique ways of showing me love and affection, and I have come to understand that with this care also comes responsibility. I strive to honor these demonstrations of trust by making sure to always keep my students and their rich knowledge and individuality at the forefront of my teaching practices. My time at Cobb has helped transform me in only the best way. I have been challenged by difficult situations; I have been put to the test as I have had to come up with solutions without much time to prepare, and I have most importantly been shown the most genuine and pure love from my students. Being at Cobb and experiencing the day-to-day routines and witnessing what my students go through both as students and as individuals with their own interests and stories has allowed me to step back and think about the privileges I hold in that space and also as I think about my own future classroom. My students have taught me to be humble and to understand that this work is in the service of every single person in my classroom, particularly of those whose voices have historically been left out. My students—all of whom are not older than eleven—have taught me far more than I could hope to learn from a textbook. I am grateful to have wonderful teachers who push my thinking and hold me to high standards, yet it is my students at Cobb who push me even further and keep me accountable in everything I do. I continue to be grateful for every single day that I get to be a part of this literacy program because it means I am being challenged to question the ways I engage with this work in education. Regardless of the official expectations of my position or of any titles, this work goes beyond what can be seen as purely academic at a surface level. This opportunity has allowed me to immerse myself in hands-on experiences in teaching and given me a new sense of purpose. I have wanted to go into the teaching profession because I believe our youth has invaluable lessons to teach us and because they deserve to know that their voices matter. I know that this work is difficult, but we owe it to our students to show up for them and allow them to be visible in every way that makes them who they are in order to disrupt practices that have silenced much of our youth—particularly our youth of color— for far too long. This internship has therefore allowed me to work on the skills that make this ideal a reality and I am humbled to be able to experience this with the wonderful mentors I have gained and the students that make this journey worthwhile. This journey is a constant learning experience and I am grateful I got that email and decided to apply all those months ago because now I have a new community that has given me the best gifts: a renewed sense of purpose and a greater love for teaching. This entry was posted in Academic Year 2017-2018, Community Partners, Engage San Francisco, Leo T. McCarthy Center (LTMC), Undergraduates and tagged Cobb Ellementary, Dr. William L. Cobb Elementary School, Dual Degree In Teacher Preparation Program, learning, Leo T. McCarthy, Leo T. McCarthy Center, literacy, McCarthy Center, reading proficiency, reading program, teaching, University of San Francisco, USF, USF students, usfca, Valeria Imendia, youth of color. Bookmark the permalink.